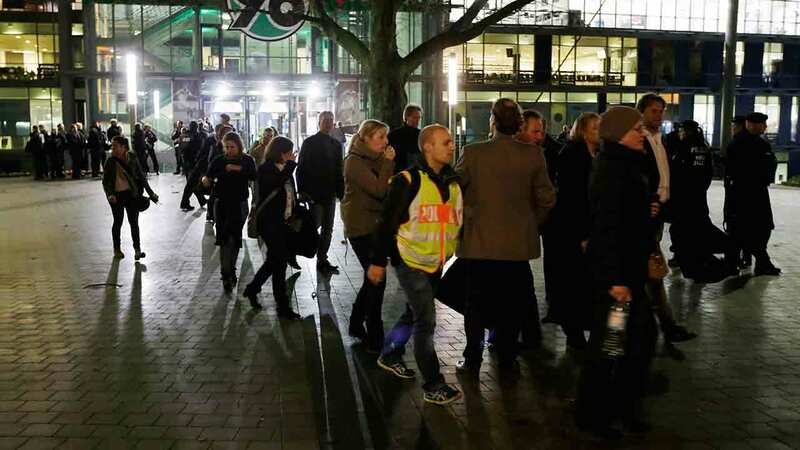 HANNOVER, Germany -- The friendly soccer game between Germany and the Netherlands was canceled at short notice due to the serious threat of an attack at the stadium on Tuesday. 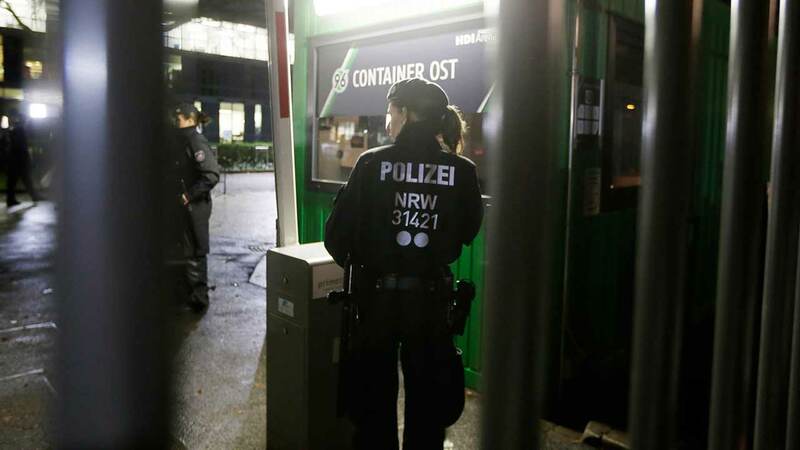 "We had concrete evidence that someone wanted to set off an explosive device in the stadium," Hannover police chief Volker Kluwe told German TV. Referring to another bomb threat about an hour beforehand that turned out to be a false alarm, Kluwe said, "After the first object turned out to be harmless, we got a tip that had to be taken seriously that an attack was being planned." 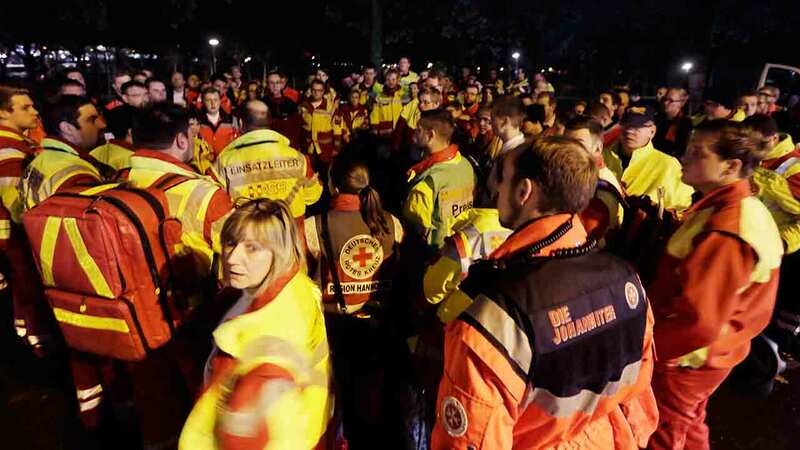 Spectators had only just started entering the Hannover stadium when the evacuation order was given, which affected mainly stadium staff, match workers, VIP guests, and media. 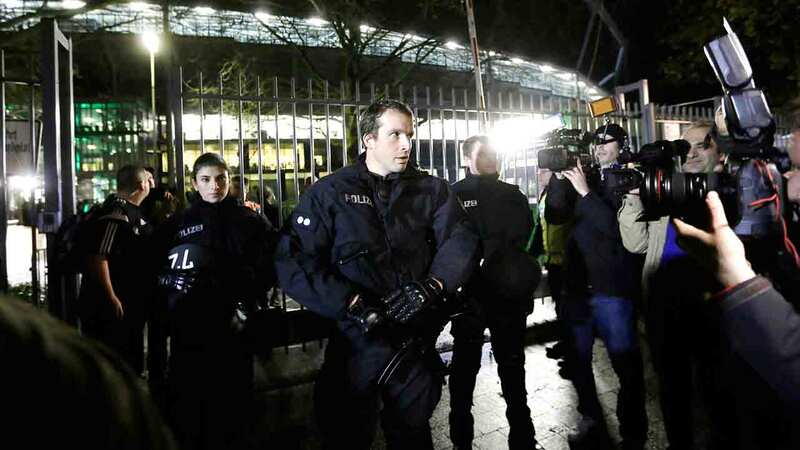 Members of the German government including Chancellor Angela Merkel had not arrived, but were scheduled to attend the match to send a signal that Germany wouldn't bow to terrorism in the wake of the deadly Paris attacks on Friday. 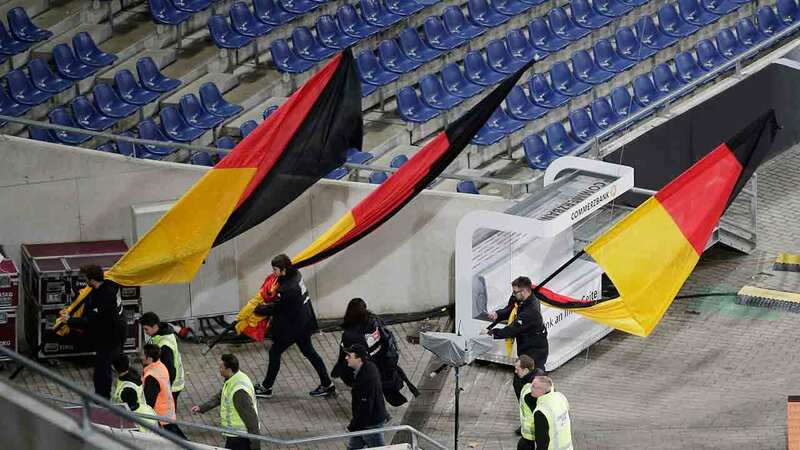 At the time, Germany was playing France in a soccer friendly in the Stade de France, outside of which three suicide bombers blew themselves up, killing one bystander. 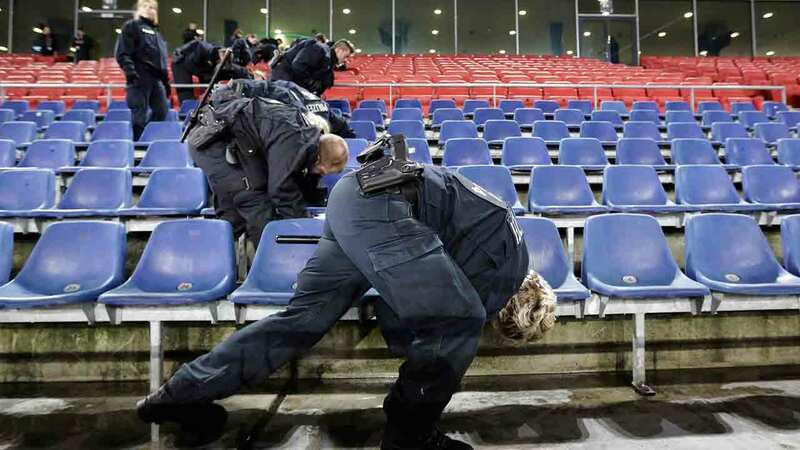 The bombers sought unsuccessfully to enter the stadium. At least 129 people were killed in the coordinated attacks in the city. Germany press officer Jens Grittner said the team bus was redirected to a "safe place," and that was all he could say for the moment. 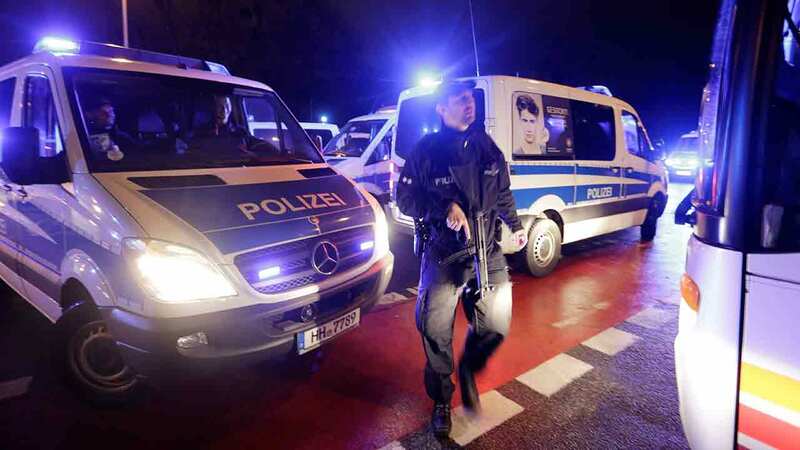 Interior Minister Thomas de Maiziere was meeting with local counterpart Boris Pistorius late Tuesday when more background details were to be given at a news conference. Tuesday's friendly between Belgium and Spain was called off late Monday following a Belgian government recommendation. 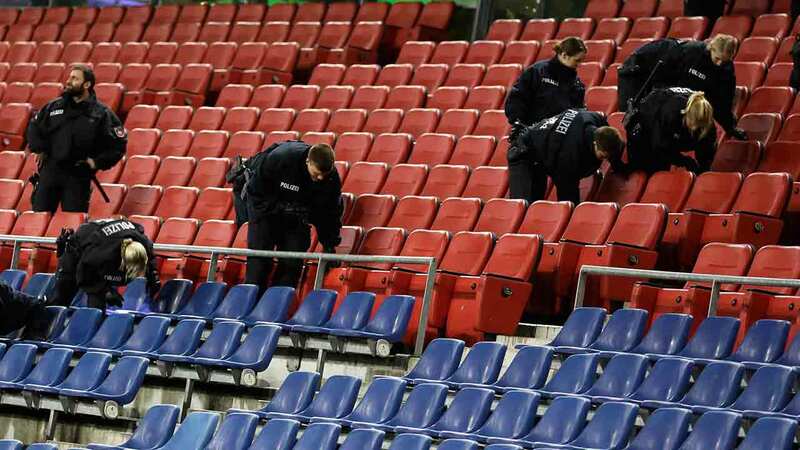 The Belgian Football Association said it was "in the context of a new elevated terrorist alert and the current pursuit of a suspect."